The success of Arsenal's summer business rests solely and tentatively on one acquisition. Negotiating Petr Cech away from Chelsea will be tougher then talking Floyd Mayweather Jnr into fighting for free. The issue does not lie with the Czech international, but more firmly with Arsene Wenger's biggest adversary, Jose Mourinho. The Chelsea boss understandably doesn't want to strengthen a rival, however you get the feeling the opportunity to engage Wenger in mind-game warfare is one he can't resist. Mourinho enjoys a phycological edge to the rivalry having never been beaten by Arsenal whilst in charge of Chelsea. 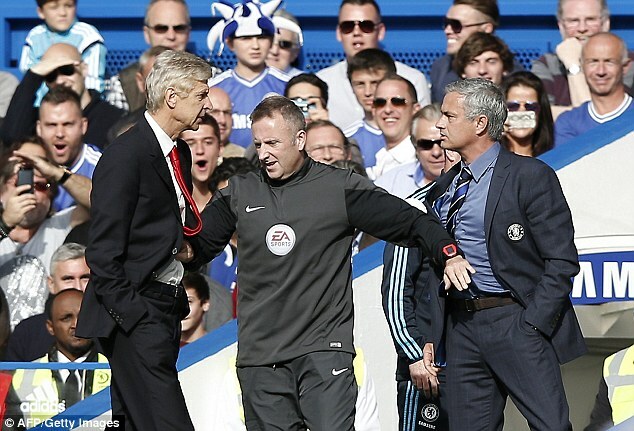 Wenger is caught in a difficult position, having no choice, but to spar with Mourinho. The signing of Cech is of such importantance to the Gunners, they must not let pride be a barrier in negotiations. The Frenchman has developed his team within inches of greatness, only a few puzzle pieces lie between them and a significant title challenge. A world class Goalkeeper is one of them. It is clear to make in order to make the jump to the next level, a keeper of Cech's ability and experience would be a major coup. All the stars seemed to be aligned with Cech wanting to leave Chelsea, having been ousted from the first team by Thibaut Courtois. The last two years Arsenal have put faith in Wojciech Szczesny and David Ospina, both talented Goalkeepers in their own right, but not at the required level to be champions. The difference between a good and world class keeper, is the latter can win you points, take for example, David De Gea and Manchester United and Hugo Lloris at Spurs. The Czech number one would bring a presence and authority to the Arsenal backline that hasnt been seen since the days of Jens Lehman. He has demonstrated in the last decade how a Keeper should command his box, appearing to have no weaknesses. Chelsea had put themselves in a bind by having to play Courtois or risk losing him. There was no denying the Belgian is a top class Keeper and could keep goal at Stamford Bridge for years to come. Cech, however, is a great age for his position, at 33 he has all the experience for play 3-4 years at the highest level. The Mourinho/Wenger boiling pot has been bubbling for well over a decade from the 'tapping up' of Ashley Cole to the deadline-day stall tactics with Demba Ba, ensuring Wenger could not bring in a last minute striker. The Portuguese coach has described Wenger as a specialist in failure. The Arsenal manager hasnt always carried himself with dignity, resorting to pushing Mourinho on the touchline last year. Jose Mourinho's reluctance to let Cech move across London paints an interesting contrast in the two managers. Wenger opts to invest in his players' development professionally but also as people. When Cesc wanted to go home, when Van Persie and Nasri were petulant, Wenger put the players' personal happiness first. Mourinho on the other hand, wants Cech to move to a team outside England, whilst the goalkeeper himself has identified staying in London as his priority for the sake of his wife and children. The decision, however, is not down to the Chelsea manager. The final word rests with Blues owner Roman Abramovic. Arsenal will hope to appeal to his sentimental side and exercise the point, Petr Cech's loyalty and performance over the last 10 years have earned him the privilage to leave on his terms. Time will tell if the player's happiness will prevail or if Mourinho's stubbornness will prove too much of an influence.